A man whose body was discovered at the City of Middleton’s municipal airport Friday appears to have died by suicide, according to the Dane County Medical Examiner’s Office. According to Sgt. Jessica Quamme, Middleton officers were called to the Middleton Municipal Airport, 8300 Airport Road, on Friday, Sept. 5 at 5:43 p.m. to check the welfare of an adult male in one of the hangars. Officers made entry and found the male deceased. This week's print edition included an article about two TIF requests that were approved by the Middleton Plan Commission. Incorrect information was reported about the project at Aspen Commons. The project involves the construction of an office building, apartment and health club. The article reported Terrence Wall as the developer. That is incorrect, LZ Ventures will be developing the apartment and health club phase of the project. Vanta, formerly T. Wall Properties, will maintain ownership of the second phase which is an office building. Terrence Wall founded T. Wall Properties in 1989 but moved on from the company in 2012 to focus on other projects. While questions of race, lethal force and police accountability continue to rage in Ferguson, Missouri following the fatal shooting of Michael Brown, the Middleton Police Department is making clear that it has already taken extensive steps to document its officers’ interactions with the citizenry. 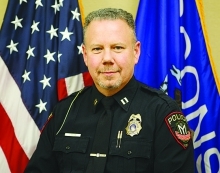 “If a controversial event occurs which involves one of our officers, we are in good shape to review the incident and share the results with the public at an appropriate time,” said Chief of Police Chuck Foulke in a statement sent to city leaders last week. County leaders aren’t giving up on their efforts to regulate local mining sites, despite towns’ tepid response to their earlier attempts. Flanked by supporters and backed by the pristine natural landscape of the Pheasant Branch Conservancy and a dormant mine that abuts it, county executive Joe Parisi last week rolled out the latest plan to bolster oversight of mining operations that border residential and conservation areas. Ordinance Amendment (OA) 26, the county’s stab at making mining companies follow regulatory rules similar to those already in place for other types of businesses, fizzled recently when area towns, under pressure from mining interests and the Dane County Towns Association, voted to block the increased regulations. Longtime city alderman Jim Wexler has turned his horse around while riding off into the sunset and returned to his seat despite filing non-candidacy papers last year. Wexler was appointed back to the council following his successor’s surprising and cryptic announcement that he would not accept the Middleton Common Council’s District 4 seat, which he won running unopposed in the April 1 election. Wexler, who had represented the city’s fourth district since 1988, announced late last year that he would not seek an unprecedented 14th term. While announcing his departure, he said he was pleased to see Chad Gehin, a political newcomer, lifelong City of Middleton resident, and local apartment manager, step forward to run for the seat. Did City of Middleton Violate Bidding Rules? The Associated General Contractors of Wisconsin, Inc. on Wednesday obtained a temporary restraining order in Dane County Circuit Court barring the City of Middleton from proceeding with the construction of its new Public Works Facility and Outbuildings to be located at 4330 Parmenter Street in Middleton. Judge Rhonda L. Lanford issued the order after concluding that the City of Middleton improperly awarded the public contract for the construction of the new Public Works Facility to Newcomb Construction, Inc. of Madison. On December 12, 2013, the City of Middleton issued a public notice that it was accepting bids for the construction of the new Public Works Facility and Outbuildings, which has an estimated cost of over $9 million. Nine different contractors submitted bids for the Project, including six contractors who are members of the Associated General Contractors of Wisconsin. Imagine a long-slumbering mine, located on the edge of a residential neighborhood or nature conservancy, roaring to life one day without any review or recourse for those affected by the operation’s noise, dust and traffic. That could happen in dozens of sites across Dane County, according to proponents of a zoning law change that would require dormant mines to obtain a permit before re-opening. Dane County is on the verge of approving an ordinance amendment that would bolster control over local mining sites. According to a county planning document, those mines are “essentially unregulated” right now. But the fate of the amendment, which has broad support from both the county board and county executive Joe Parisi, will ultimately be up to local towns, which have the power to decide whether they want the increased oversight. The City of Middleton will require developer Erdman Holdings, Inc. to hire a third party consultant to weigh in on the use of septic tank systems in the proposed Pleasant View Ridge subdivision. The consultant’s report would influence the city council on whether or not to approve the development. The city’s committee of the whole passed along a consultant request for qualifications and proposal to the common council for approval. At the following plan commission meeting ald. Hans Hilbert (Dist. 7) recommended the request be utilized to obtain proposals from three different firms. The city expects the requested work and assistance could be done for less than $10,000. An escrow account will be set up between the developer and the city. Just four years after Ideal Builders, Inc. completed construction on a new public safety headquarters for the City of Middleton, the building already appears to have problems. Much to the city’s chagrin, the police department and municipal court building, located at 7341 Donna Drive, is experiencing potentially hazardous water leakage, according to information provided to the Middleton Common Council. If not taken care of in a timely and proper manner, such water issues could lead to dangerous mold, said city leaders. In order to effectively remedy the problem, the city enlisted SRI Consultants, Inc. to identify both the cause of the leakage and avenues for solving the dilemma. City attorney Larry Bechler noted that while the root of the issue remains to be discovered, the leakage is most likely related to structural troubles. State Rep. Dianne Hesselbein (D-Middleton) admitted to the Government Accountability Board (GAB) that she used state resources to promote a ballot initiative prior to the spring 2013 election. According to a settlement agreement signed by Hesselbein and dated August 30, the lawmaker violated state ethics rules when she issued a press release using state resources urging citizens to vote yes on a non-binding Dane County referendum opposing the abolition of same-day voter registration. She paid the GAB a forfeiture of $200 as part of the agreement. 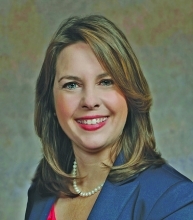 Hesselbein, who was elected to the state legislature in 2012, is a former member of the Middleton-Cross Plains Area School board and still holds her seat as the District 9 supervisor on the Dane County Board.